Cynthia is the office manager for the Concord office and IES program assistant. She also provides administrative support across the state to the director of Standards and Regulatory Services and team at NC State Industry Expansion Solutions (IES). She joined IES in 2001. Her experience in Higher Education spans over 25 years. 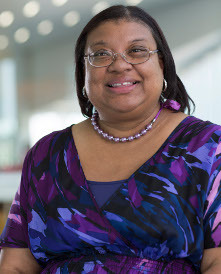 Prior to joining IES, Cynthia worked at the University of North Carolina at Charlotte from 1994 to 2000 as database manager in the Office of Research Services. Before that Cynthia was employed at the James H. Quillen College of Medicine at East Tennessee State University in the Department of Surgery as an administrative secretary from 1984 to 1993.